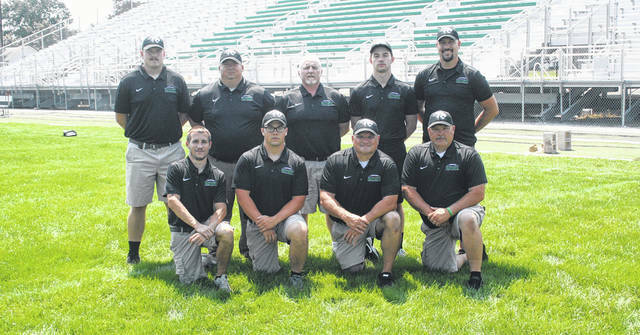 The 2018 Delta coaching staff. 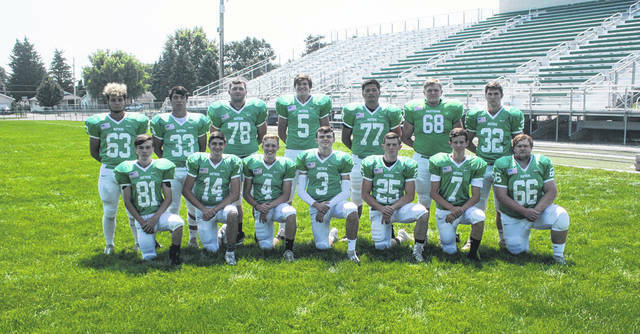 Delta has 14 seniors returning for the upcoming season. The 2018 Delta football team. After a disappointing end to the 2017 season, Delta coach Jeff Wolford was expecting his team to be looked down upon by their peers. That was evident earlier this month when they were picked to finish last in the Northwest Ohio Athletic League by the rest of the league coaches. But, what Wolford was unsure of was how his team would respond going to the season. The result was positive. Offensively for the Panthers, they will be led by their stable of backs. “I have two fullbacks that are phenomenal,” explained the coach. “I’ve got Kai Fox who’s a sophomore. Kai Fox is impressive. He’s gonna go both ways, or share time at fullback with JD Osborn. They both have some shake and bake and they both can run you over. I’m not kidding you, my running backs are gonna be phenomenal. The way they’re working, how they’ve been lifting, how they look. Delta will run a straight Wing T this year, utilizing some aspects that have helped them in the past. They have nine honorable mention All-NWOAL athletes returning. Those are Max Hoffman, Tristan Saeger, Logan Echler, Osborn, Nathan Kohlhofer, Hunter Tresnan-Reighard, Jose Arroyo, Dalton Richard and Noah Druschel. Many of those will make an impact on the defensive side of the ball. Players that have stood out are Kohlhofer, Arroyo, Richard and Osborn. Fox will be the quarterback of the defense at middle linebacker. The early portion of the season will likely be key for the Panthers. Should they have success in the non-league, it could catapult them to more wins once league play starts. Wolford is hopeful his team can give a fight, and perhaps win, at home against McComb in week one. They host Rogers in week two, and travel to Tinora in week three, before hosting Patrick Henry to begin NWOAL action. https://www.swantonenterprise.com/wp-content/uploads/sites/23/2018/08/web1_Delta-coaches.jpgThe 2018 Delta coaching staff. https://www.swantonenterprise.com/wp-content/uploads/sites/23/2018/08/web1_Delta-seniors.jpgDelta has 14 seniors returning for the upcoming season.